The "Asian Male Super Model," He conquered the runways of Asia and Europe, Male Model of the Year at the Singapore Fashion Awards. That's how impressive Brent Chua's CV at a young age in his mid twenties and is currently represented by Ford Models New York. He graced the cover and campaigns of Benetton, Levi's, Motorola, TIGI Bedhead, Bang and Olufsen, and more. 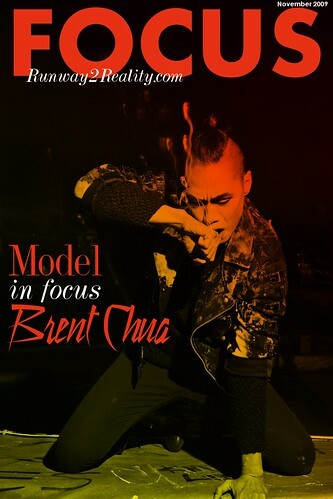 Runway2Reality interviews Brent Chua, fashion model and vintage clothes lover. Brent shares his secret on where to shop in NYC, the challenges facing models and how to make it big by being yourself. I like to keep it simple, mixing it up with a few unique elements. I would say I'm inspired by the diversity of everyday people in NYC. They say you're the "Asian Male Super Model." What can you say about it? How did you started? How long you've been modeling? I am grateful to be called such things. But at the end of the day, I am just me. Maybe life has been good to me or maybe it was a stroke of luck. I've been in the game for 5 years. It all started when Rizal (a casting director) discovered me in a club. How would you compare the modeling scene here in the Philippiness and abroad. Obviously, every city has a different market for fashion. The Philippines is just yet starting to become more aware of international fashion and in turn adapting to it. Modeling abroad is a great deal, more difficult than in the Philippines. Because (in the Philippines) designers tend to cast models whom they are connected to somehow. Whereas abroad, fashion is ever changing. Therefore, models come and go constantly, like a revolving door. But if you have the patience, faith and maybe luck, then you can turn modeling into a lasting career. I cannot pick and choose specific moments in which were memorable for I consider every opportunity to be interesting. 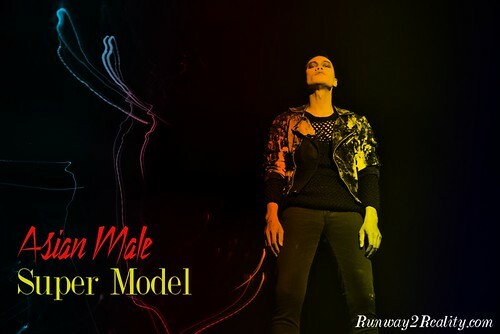 What do you think are the challenges Filipino models are facing in the industry? I suppose the most significant challenge that Filipino models face is fitting into an ethnic category. Some Filipinos look Hispanic whereas others look more Oriental. Fashion tends to categorize models by ethnicity and that can be seen as a barrier for Filipino models. Advice for aspiring professional models. Despite the difficulties making it in the industry, always be the best you can be and never forget those who have always stood by you. What is your favorite brand, label, shop? I prefer vintage and secondhand clothes over labels and brands. There are numerous vintage shops in NYC, a popular one being Beacon's Closet in Willamsburg, Brooklyn. What is the best fashion and or modeling advice you ever received? I don't really 'splurge'. On many occasions, I'm given free clothes. When it comes to personal style, it's most important to be comfortable in what you're wearing as opposed to impressing others. And in order to be comfortable in what you're wearing, you have to first be comfortable in your own skin. From there on, you can pull anything off. Photos courtesy of Mr. Brent Chua.